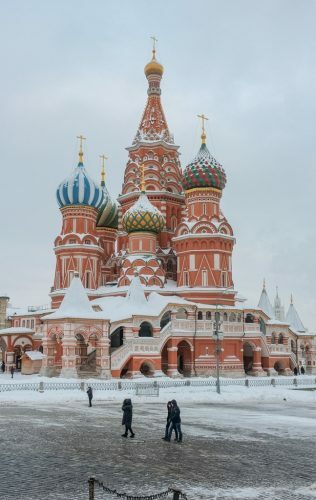 Situated in the very heart of Russia‘s capital, the Kremlin is a tourist’s dream. If photo opportunities aren’t enough to keep you engrossed, the stories behind this tsarist residence, European imperial throne of power, and current Putin HQ, are sure to do the trick. Home to Russia‘s most powerful residents throughout the years, these palaces, with their exquisite architecture and ornate exteriors, retain a sense of their glorious past. Most notable is the Grand Kremlin Palace which, on its own, cost a mind-boggling 11 million rubles when it was first built in 1838, and a further one billion dollars was spent renovating it in the 1990s. 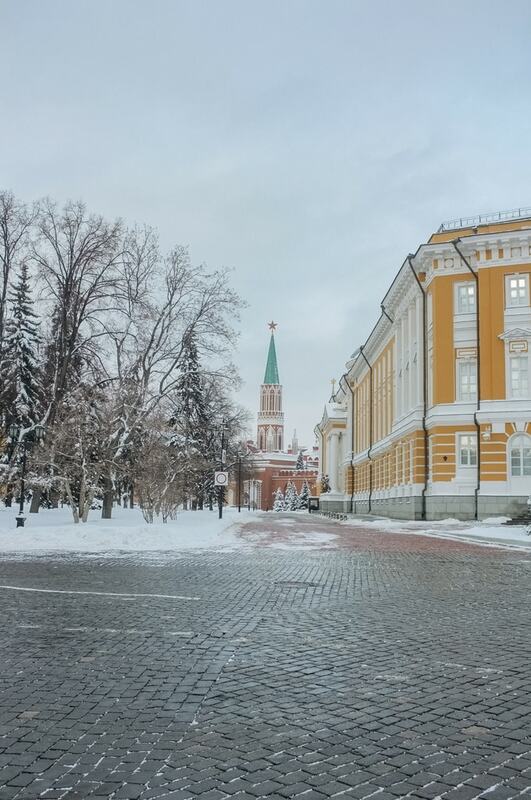 The site of the tsars’s private rooms, the signing of many landmark treaties, and the current residence of the Russian President: history simply shines from every facet of this building’s gloriously gilded exterior. The name ‘Kremlin’ officially means fortress and this historic building once housed the deadliest weapons of Russia’s Empire. Now it is the site of one of Moscow‘s oldest museums and contains a collection of tsarist weaponry, jewellery, and the royal family’s most absurdly flamboyant household items. Treasures in this collection range from ten priceless Fabergé eggs, artistic masterpieces from the 5th to the 20th centuries, tsarist coronation robes, Ivan the Terrible’s ivory throne, and exquisitely bejeweled royal carriages. The sheer number of items in the Armoury Chamber, let alone their value, is enough to defy belief. The Cathedral of the Assumption (also known as Cathedral of the Dormition) was unveiled in 1479, and is the site on which all Russia’s tsars were crowned. The oldest and most important church in the Kremlin, this Cathedral acted as the headquarters of the Russian Orthodox Church from 1326. 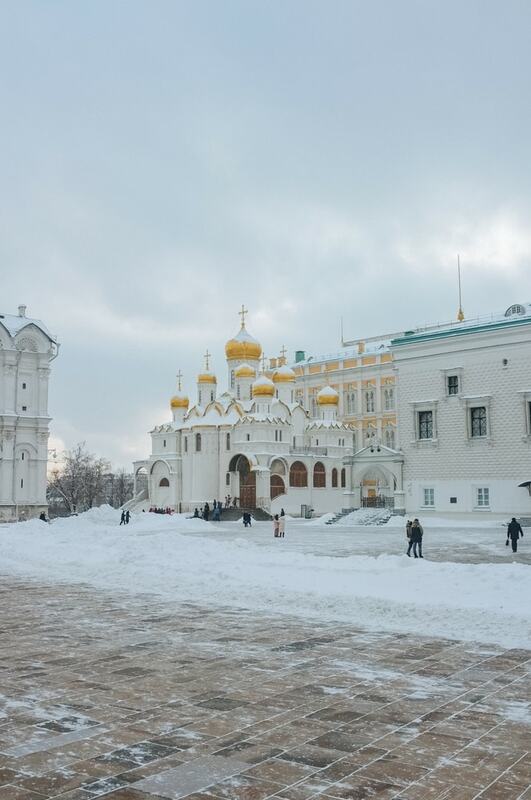 A place steeped in religious history, the ceremonies installing new patriarchs (leaders of the Russian church) took place here, as well as the coronations of the tsars. The site is also the burial ground of these leading religious figures. The five gleaming, golden onion domes that top the cathedral’s towers provide a quintessentially Russian view to take your breath away. The Diamond Fund is the former tsarist collection of rare jewels and invaluable gemstones, originally formed from Peter the Great’s private hoard. The collection includes a 33 kg nugget of gold, and one of the world’s largest diamond: 342.5 carats and 68.5 grams. Imperial crowns of Russia, the world’s largest sapphire, multiple Fabergé eggs, the famous Orlov diamond, and world-renowned items of jewelry such as the Blue Fountain, are also to be found here. Such wonders make it unsurprising that the Diamond Fund is ranked among the greatest gem collections of all time. Aside from its glittering golden exterior, the Cathedral of the Annunciation is of great interest due to its unique display of Russian icons. 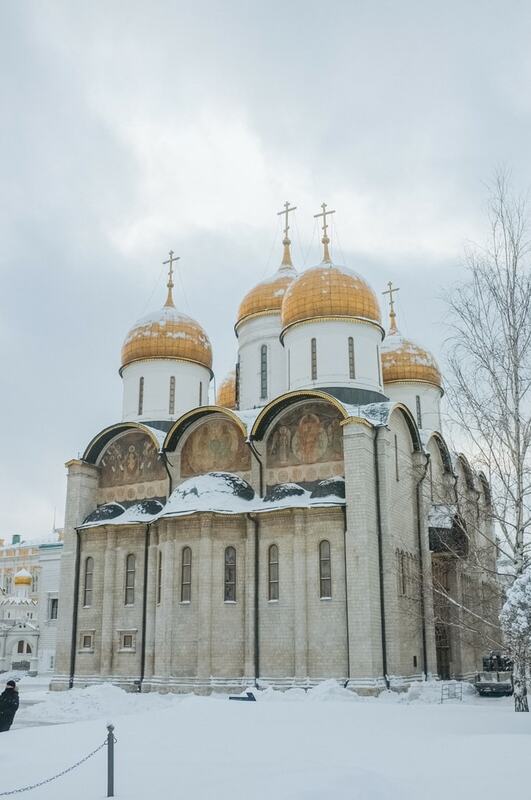 Some of the greatest of their kind are housed in this church, including masterpieces by Andrei Rublev – the most famous icon painter of all time. The Cathedral of the Archangel contains the tombs of many of Russia’s greatest rulers. 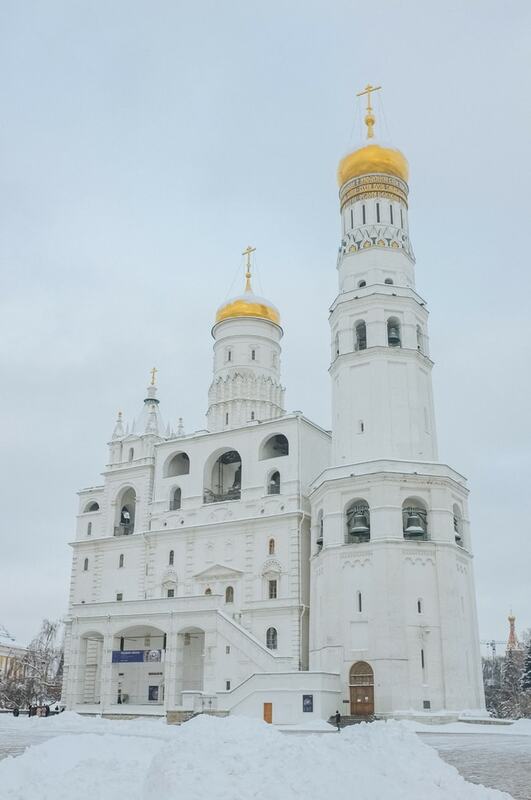 Its exterior offers a very different view to the other two Kremlin cathedrals. The ornate decoration and shell and flower-shaped adornments of its exterior are some of the grandest displays of Italian architecture that can be seen in Moscow today. Supposedly the exact center of Moscow, legend also has it that the Ivan the Great Bell Tower was designed to resemble a flaming candle. Climbing this 81- meter tall monument provides unparalleled views across the whole city. Don’t miss the chance to take in this fantastic vista. Completed in 1600, the tower remained the tallest structure in the whole city until the Russian Revolution, as official decree banned the building of any structure that would out-do it. Lying at the foot of the tower is the infamous Tsar Bell. Over 6 m in height and in diameter, it is the largest bell in the world, weighing over 200,000 kg. After one piece splintering off during casting, the bell was never used but, given its size, instead the interior was used as a chapel; the gap left by the broken shard being used as a door. Upon hearing news of the fracture, its original craftsman apparently died of grief. Nevertheless, the bell is still an impressive sight. Other sites, located just on the Kremlin’s periphery, are equally deserving of a visit. For starters: Red Square. This iconic Moscow landmark, with its red walls and view across to St Basil’s and of the Kremlin’s dazzling domes, is the archetypal view of Moscow that no tourist should miss. Wander round the former site of declarations of new tsarist laws and the home of monuments to some of Russia’s greatest heroes, such as Minin and Pozharsky. 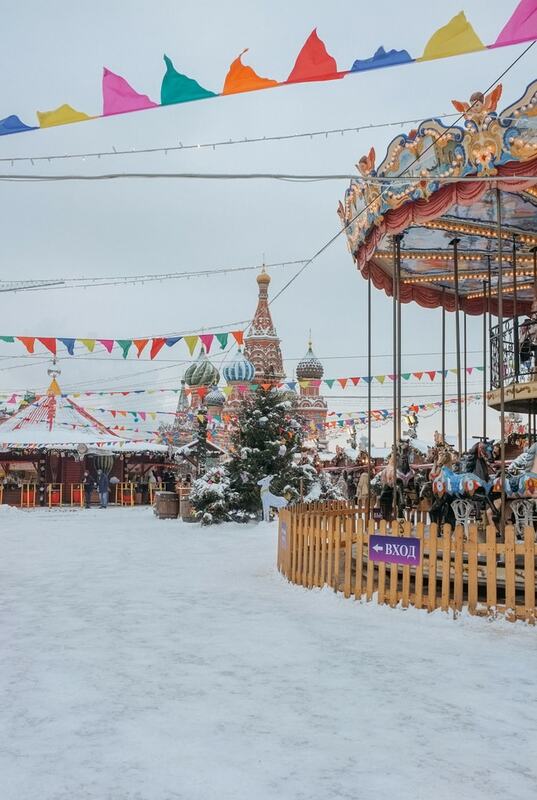 Take in the imposing sight of the Kremlin’s towers and Moscow’s most famous shopping center: GUM. Constantly buzzing with activity, Red Square is also often home to many markets, festivals, and celebrations. Designed to look like the flickering flames of a bonfire, St Basil’s remains one of Moscow’s most impressive sites. The rainbow domes of St Basil’s cathedral are legendary. After admiring this architectural masterpiece from a distance, come inside to enjoy the tranquil atmosphere and picturesque vista from the balcony across the Volga River. Tourists flock from around the world to have their photo taken by this cathedral with its bizarre and one-of-a-kind design. According to legend, on its completion, Ivan the Terrible demanded that the architect’s eyes be cut out so he could never create anything so beautiful again. A morbid, yet unique, chance to learn about one of the most turbulent periods of history: the Russian Revolution. A visit to Lenin’s Mausoleum gives tourists the opportunity to see, in the flesh, the man who transformed Russia into a socialist state. 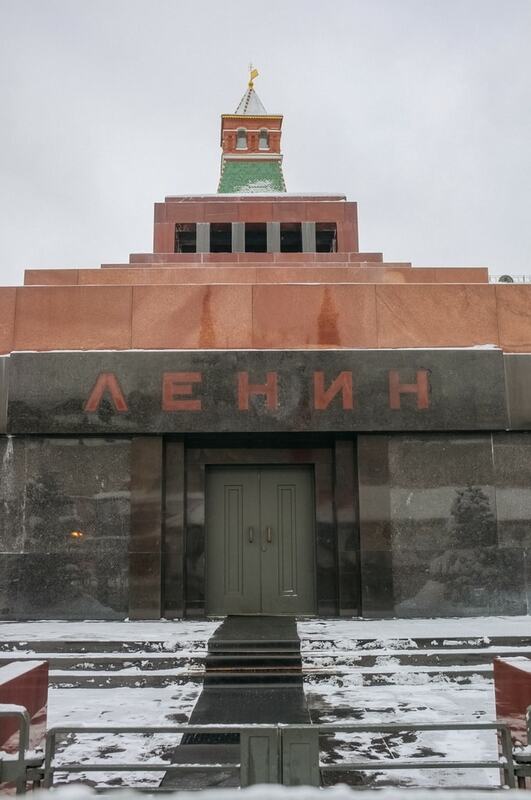 Surrounded by graves and memorials of other Soviet leaders, Lenin’s mausoleum represents the significance of this period of history. Visitors can come and inspect the impressively preserved body of Russia‘s most famous socialist. 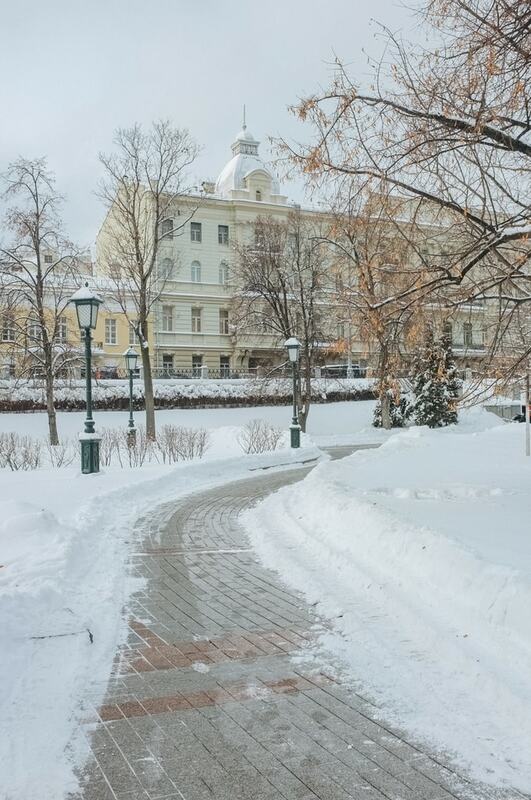 With sights including the Tomb of the Unknown Soldier and the Eternal Flame, brought from the battlefields of Leningrad, the Alexander Garden brings a sobering element to a day of sight-seeing. A powerfully moving reminder of the tragedy of war, the monuments list fallen soldiers, razed cities, and many other causalities of the violence of the 20th century. Soldiers stand guard by the Eternal Flame at every moment of the day and coming here to pay your respects is a popular local activity. The Tomb of Unknown Soldier contains a corpse from the Second World War and marks the closest spot Nazi soldiers reached to the center of Moscow. Impressive sculptures, an obelisk, and a grotto are some of the other sights attracting visitors to this historic park.